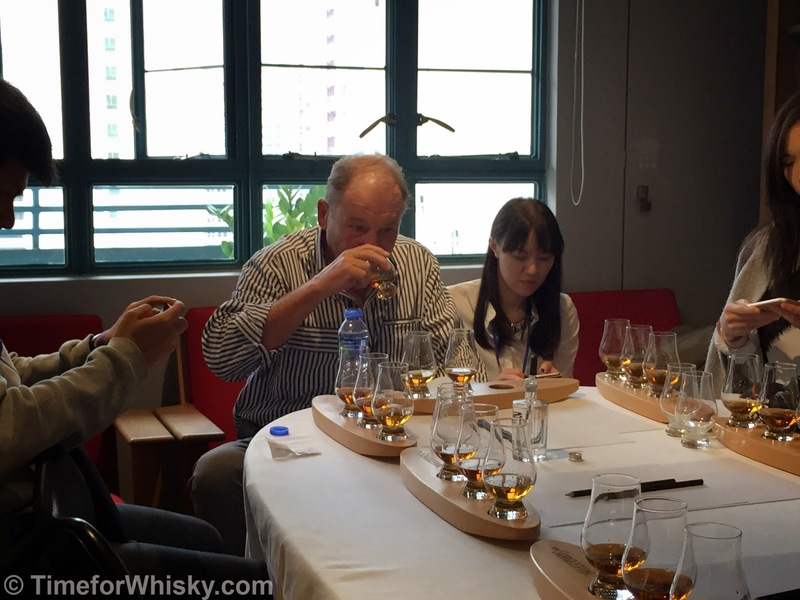 With Martin away in India (visiting Amrut Distilleries - detailed tour write-up soon), it was up to me to pick up the Glencairn and cover two back to back Hong Kong Whisky events. 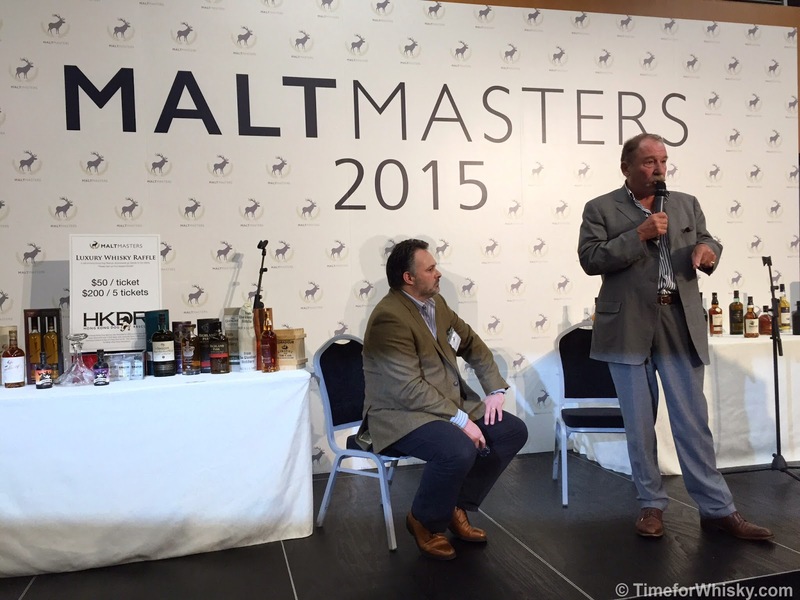 First up - Malt Masters Hong Kong 2015. 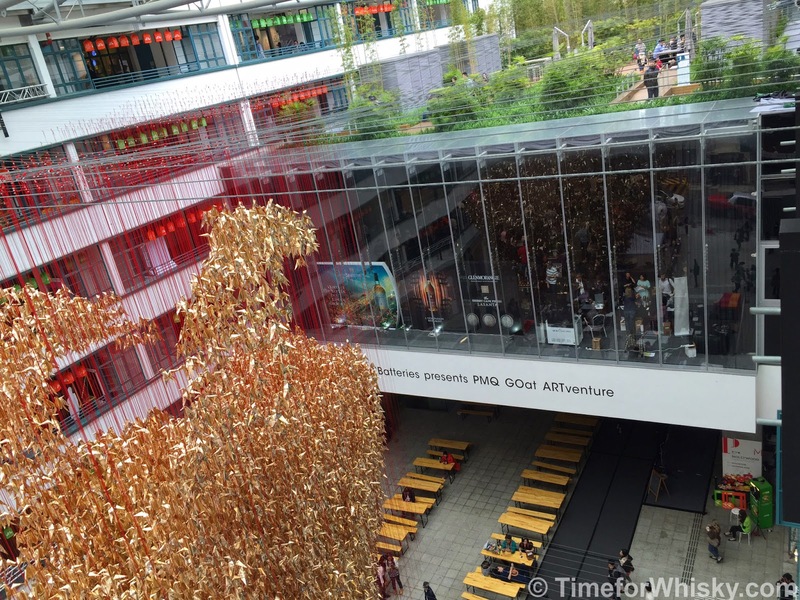 Hong Kong whisky enthusiasts (and those new to the whisky world) gathered at PMQ’s "the Qube" on Saturday 14th March to taste, explore and learn about all things whisky. 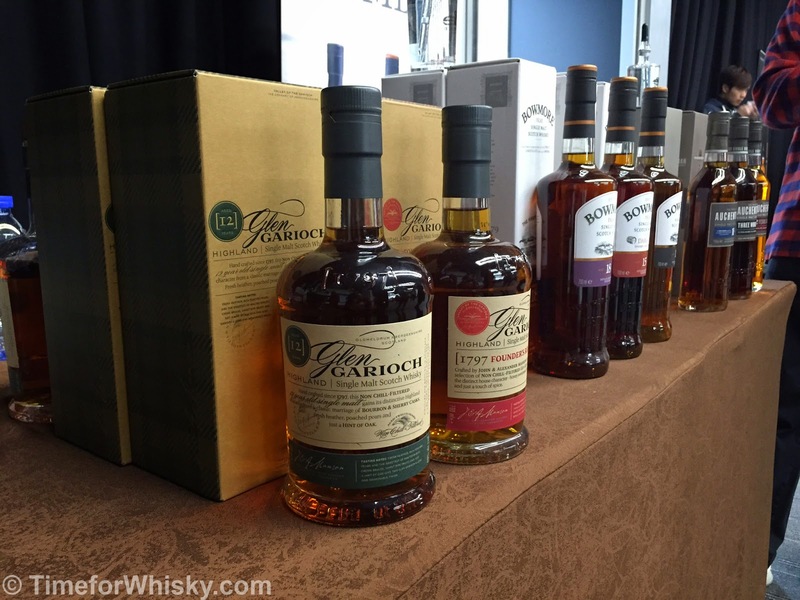 Exhibitors present included many large and well-known brands such as Macallan, Glenfiddich, Glenmorangie, Glenrothes, Balvenie, Singleton, Arran, Old Pulteney and Jura. 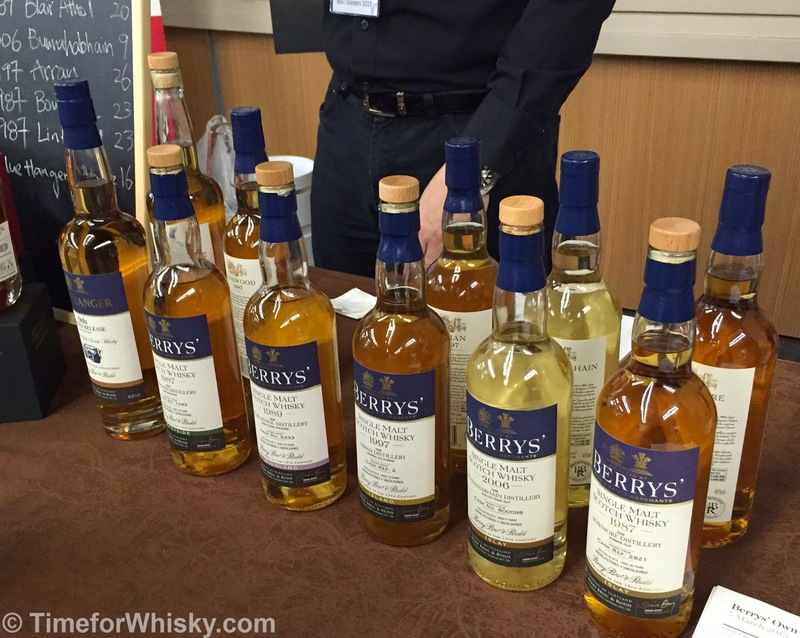 There were also a small number of independent bottlers (Berry’s from Berry Bros & Rudd, Hepburn, The First) and at least one new to the whisky world (Annandale - who aren't yet producing a "whisky", per se). 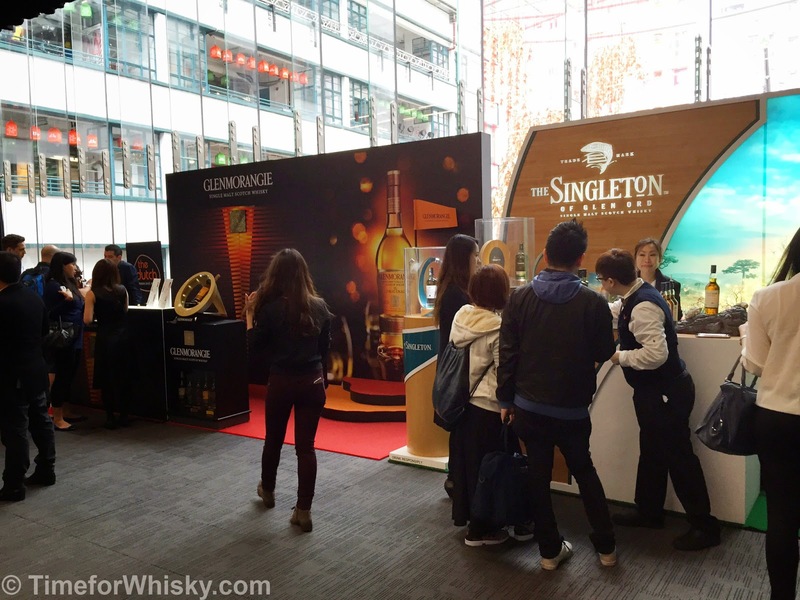 Although it was great to see so many Scotch whiskies, it would have been nice to see more world whiskies, particularly from other parts of Asia. The food provided was plentiful with various tasty canapés to line stomachs, and it was great to see a few food exhibitors including Dutch Cheese, whisky ice-cream (!) and deli meats; however this attendee was there for the whisky! 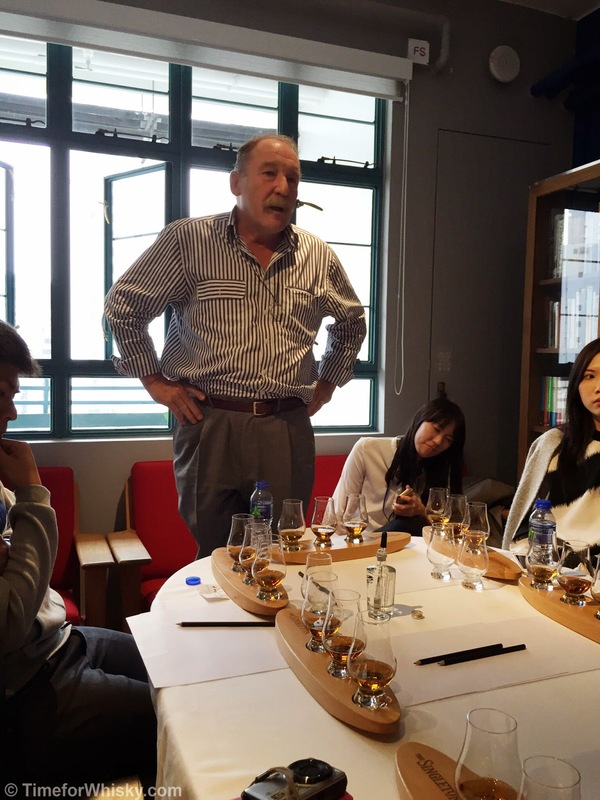 The Charlie MacLean masterclass (pre-purchased as an add-on to the entry price) was informative for whisky beginners through to connoisseurs. 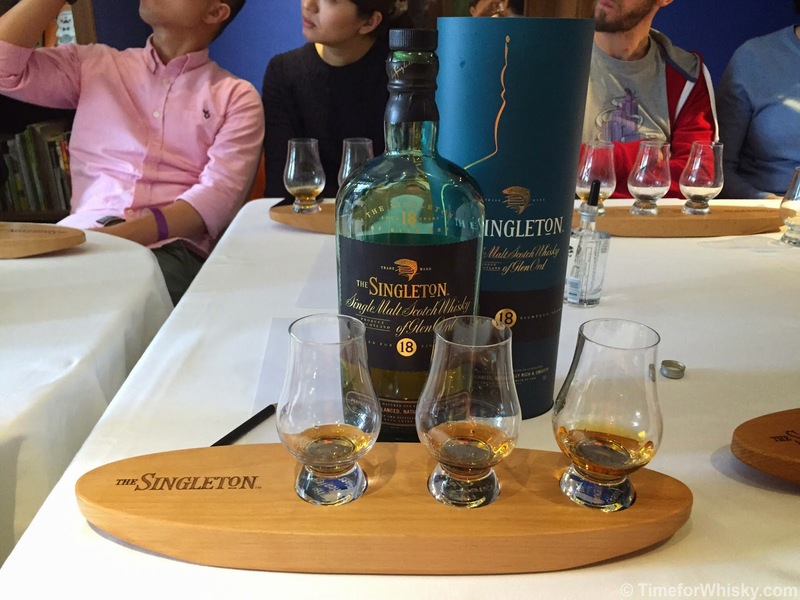 Three drams were discussed and tasted (Singleton of Glenord 12 and 18 [created for the Asian market], alongside Talisker 10) and Charlie was eager to answer any simple or tricky questions from the group. Charlie discussed the colour and flavour development of whisky, the fermentation and maturation process and the purpose of different elements in the production- copper and charcoal being purifiers at different stages of the process, the importance of water quality both during production and when tasting, and the importance of balancing distillery characteristics of whisky with the maturity characteristics. A few gems of knowledge were also thrown into the mix, such as why waxy new make became waxy in the Clynelish distillery (“gunk” in the receiving tank); Glem Ord has the longest fermentation time of all distilleries known to Charlie (more than 80 hours compared to the usual 60-ish hours, resulting in increased flavour complexity); and Diageo own 7 of the 14 distilleries that use wormtubs, which make for a lighter style of whisky. 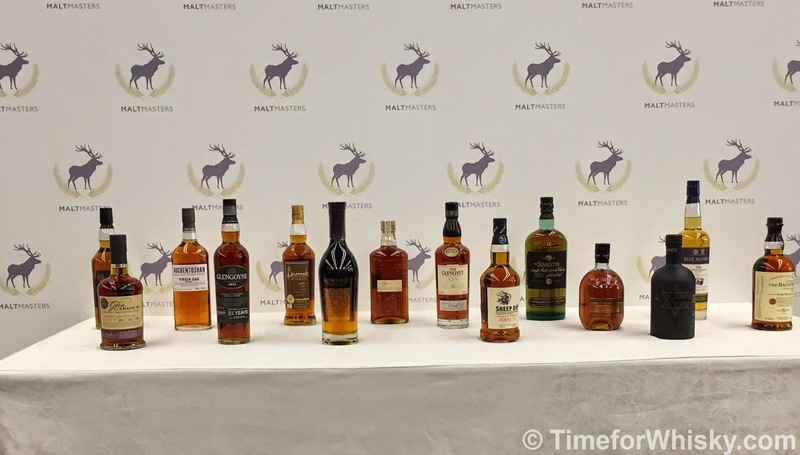 Overall, the Malt Masters made for a great (and leisurely) afternoon for anyone interested in tasting and learning more about whisky. Great timing with the PMQ night markets held just downstairs for a quick snack on the way home too! There were a few kinks that need to be ironed out for future events (the ticketing process with long lines to enter, the lack of drinking water, and master classes starting and running late), but I am confident that this event will only get bigger and better in future years! 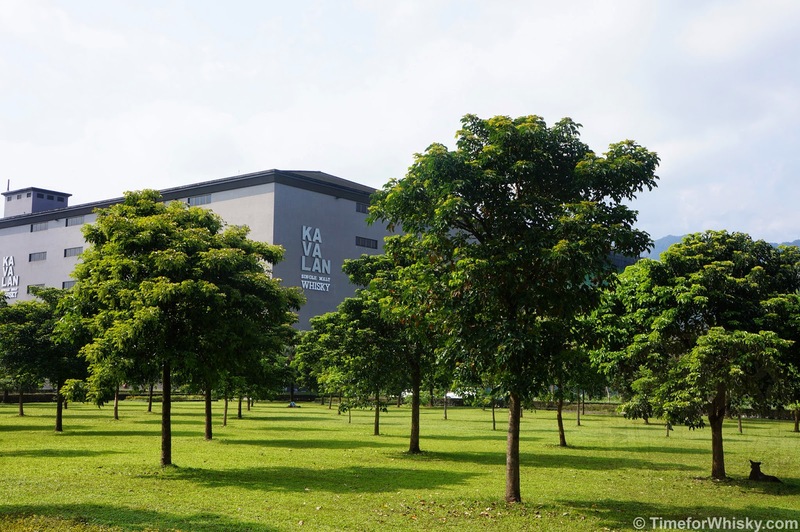 Third in our Distillery Tour series (don't worry we haven't forgotten about Yamazaki - it's due soon) is the Kavalan Distillery in Taiwan. Or should we say, the distillery responsible for the World's Best Single Malt Whisky 2015, as crowned by the World Whiskies Awards in London last week. 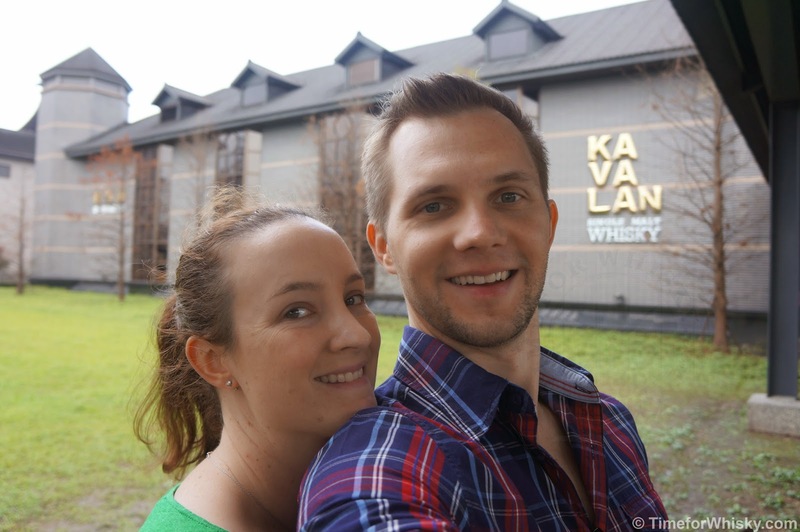 Just a few weeks before the Kavalan Solist Vinho Barrique Single Cask Strength picked up the coveted title, Steph and I were lucky enough to be treated to a private tour of the distillery (which was very lucky, considering the regular tours are in Mandarin, which neither of us speak). 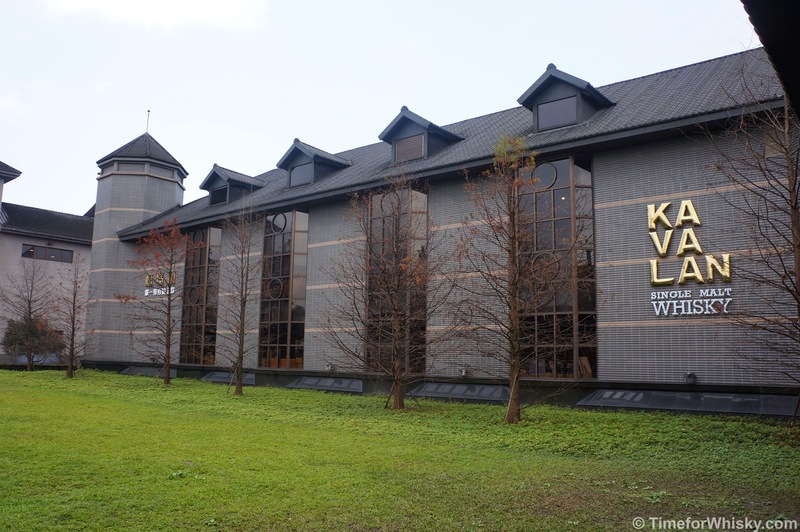 Located in Yuanshan, a rural township in Yilan County (about 1hr 20m away from Taipei city), the Kavalan Distillery really is a sight to behold. 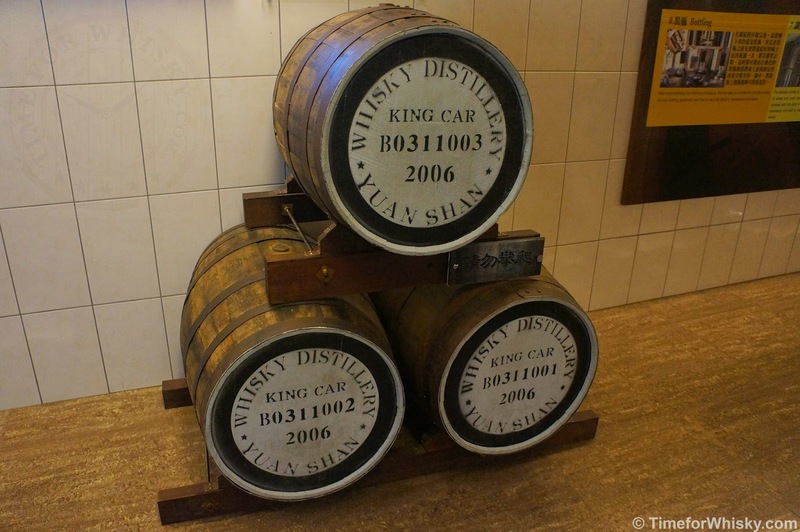 Much like its parent, the King Car group, the distillery is absolutely massive, with everything done on a grand scale - the grounds, the warehouses, even the tasting room. 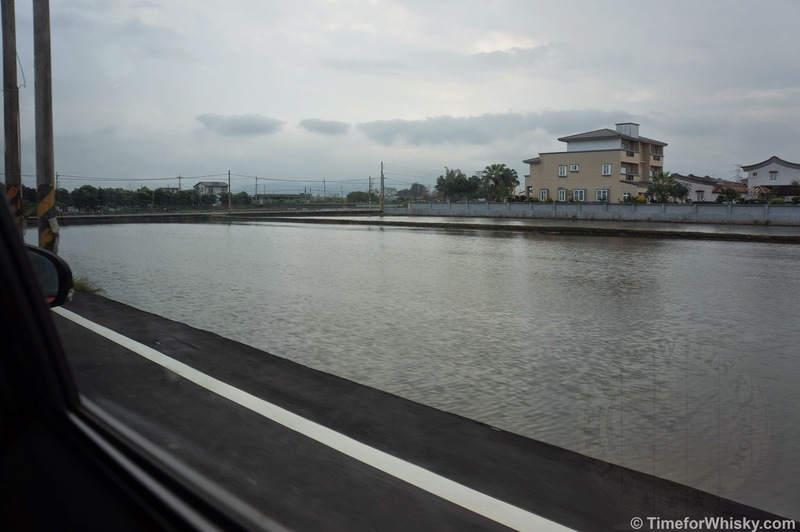 ..but what really fascinated us, before all that, was Yilan County itself. 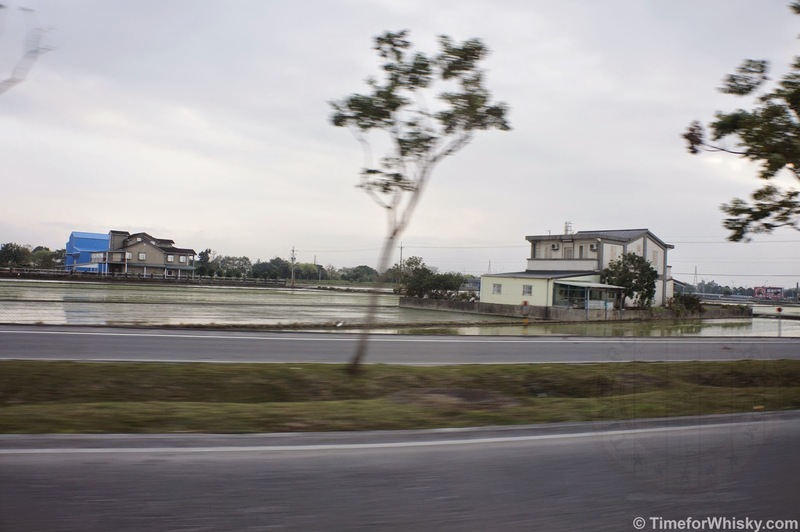 Kilometer upon kilometer upon kilometer of flat, water-filled plots, some with shacks and run-down houses, some with modern mansions. Truly unlike anything we'd ever seen before (the photos below don't do it justice - but believe us when we say the landscape was like this for a good 30-40 minutes before we got to the distillery). Simply amazing. Unfortunately Ian Chang (Master Distiller, who we met at The Whisky Show 2014 in Sydney) wasn't on site, but nevertheless we were given a very enjoyable tour by an enthusiastic tour guide who showed us the ins and outs of the distillery. 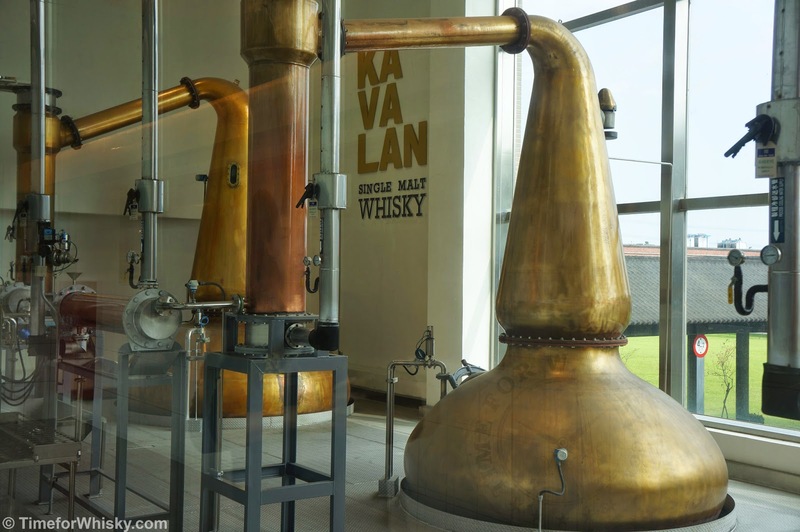 Kavalan obtain their barley already malted from the UK, Sweden and Finland, and don't do any in-house malting (though if they wanted to, they'd certainly have enough room!) Producing 3 million bottles a year, with the average cask aged for 3-4 years, means you need some serious storage facilities. In addition to the incredible 5 story warehouse they currently have, at the time of our visit, the distillery were constructing another. Unsurprising really, given the popularity in recent years. 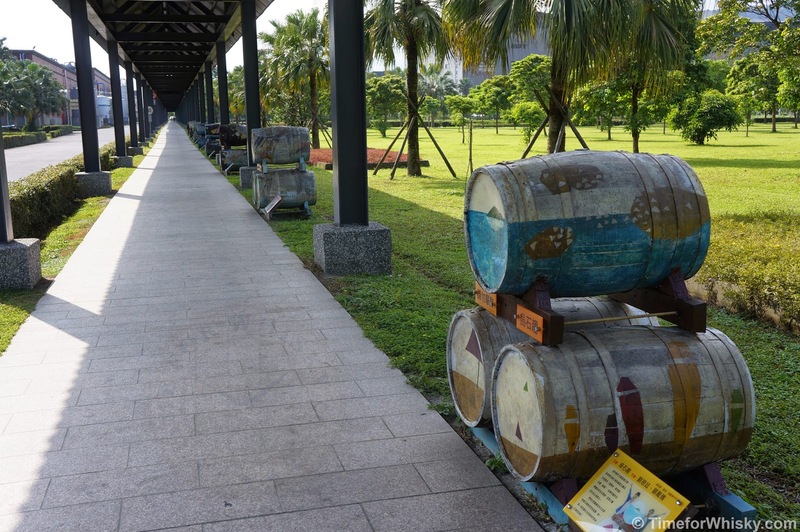 Due to frequent earthquakes in the region, the casks are bound 4 at a time, to reduce the risk of them toppling over - particularly those racked towards the top. 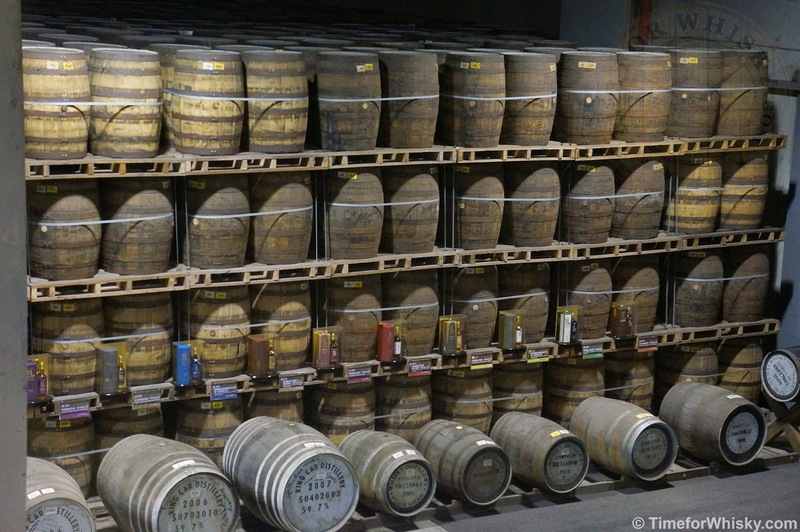 As with many distilleries, casks are a mix of port pipes, sherry butts and bourbon barrels, with the type of cask identifiable by a unique code on the front (and of course, the shape / size). 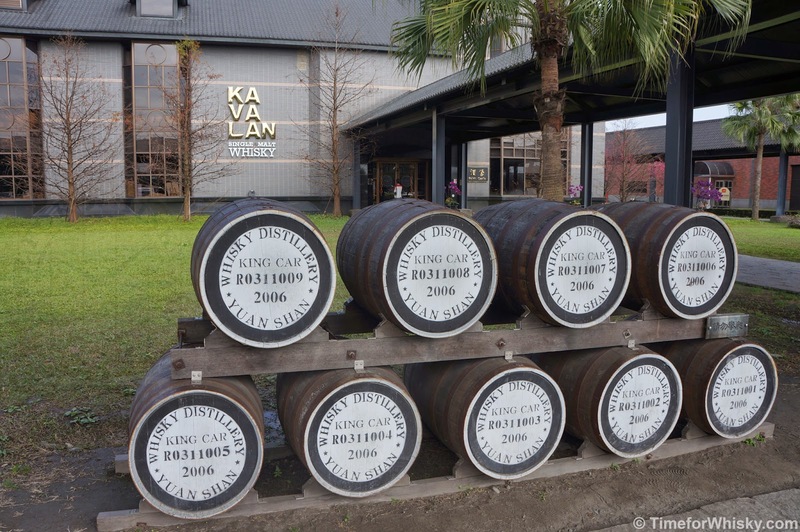 The 3 casks below, first filled in 2006, were the first Kavalan casks to be filled (when you think about it, to win the World's Best Single Malt is a pretty incredible achievement for a distillery that's only been producing for 9 years! 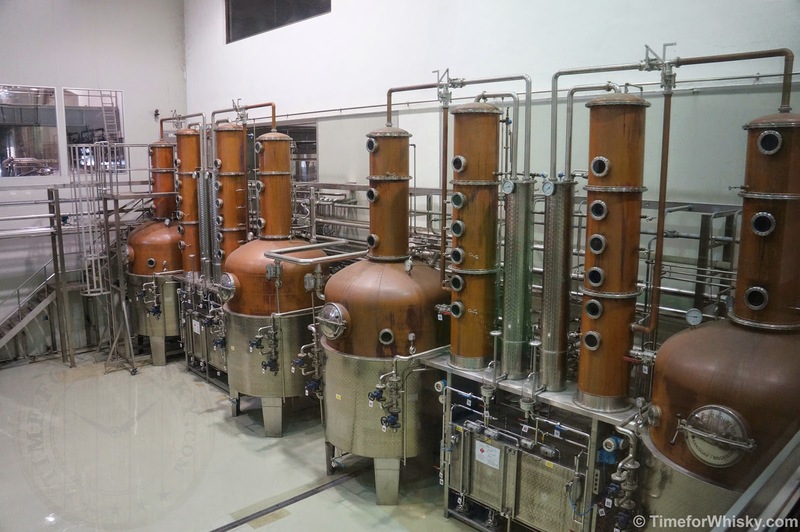 Interestingly, in addition to the regular spirit/wash stills producing the single malt that has made Kavalan famous, the distillery has recently installed a number of other, very different German stills, which are intended to produce gin and brandy. Watch this space. 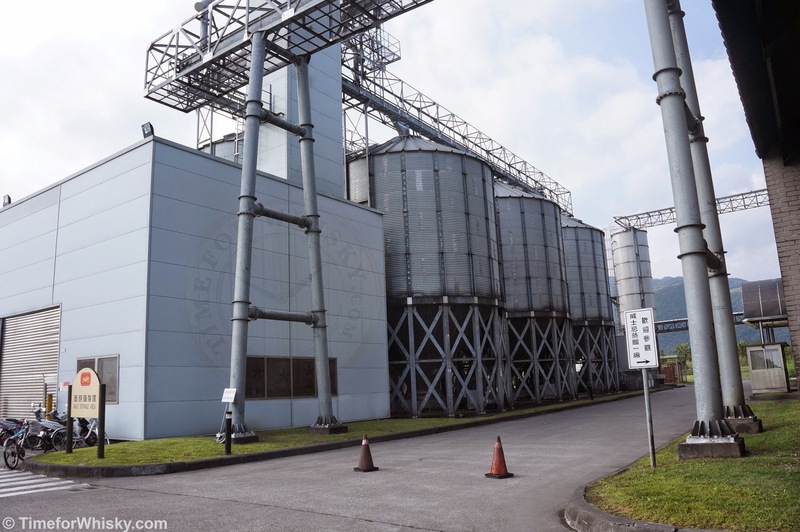 The tour itself (which I should point out, is completely free) is, in a similar fashion to the Suntory Hakushu Distillery we tourd back in December, somewhat of a "standard" tour. You see the mashing, you see the fermentation, you see the distillation, you see the barrel houses, and then you go into the tasting room. It's enjoyable, and you do get to see a few close-ups (such as some sample grains, open casks, new make spirit / whisky at various stages of aging in different casks), but you're not going to try a single cask whisky straight from the barrel, or taste a new make with your hands. 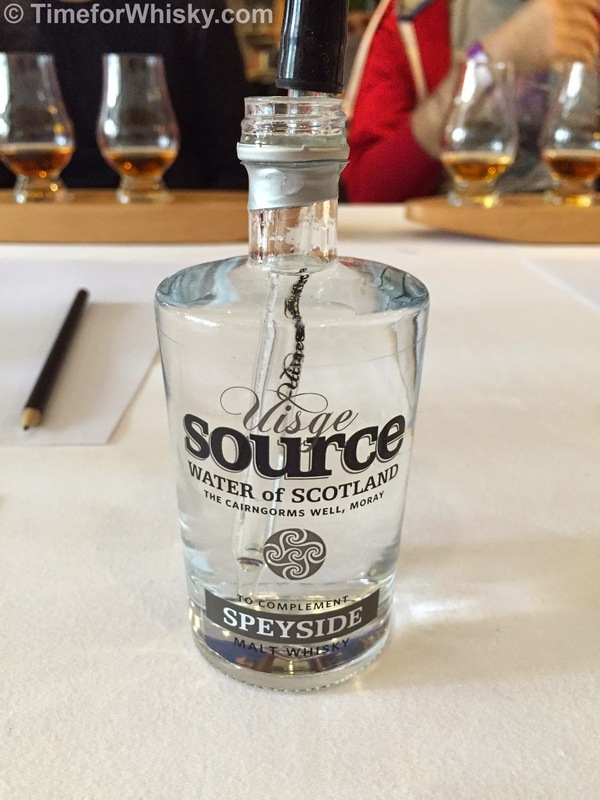 From the looks of it, the distillery simply gets too many visitors each year to offer any specialist tours. It's certainly a popular tourist destination. 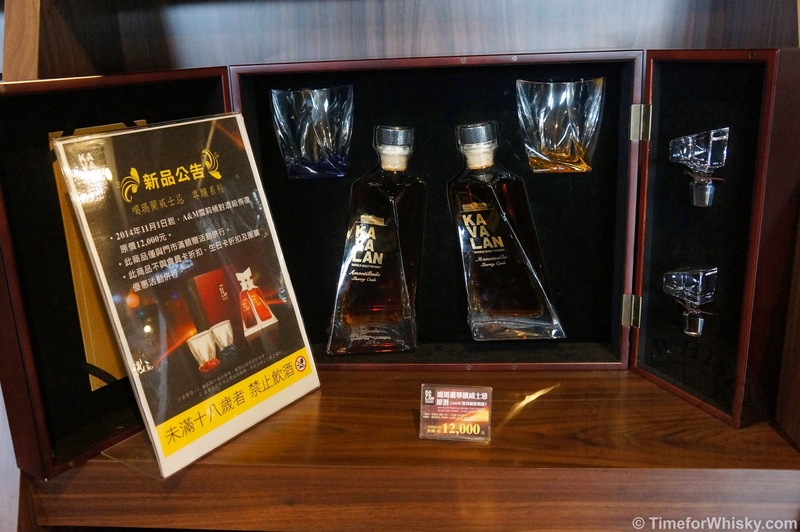 Unlike the aforementioned Hakushu Distillery tour, the tasting at the end of the tour is of one whisky only - the Kavalan Classic Single Malt 40% (4yo). 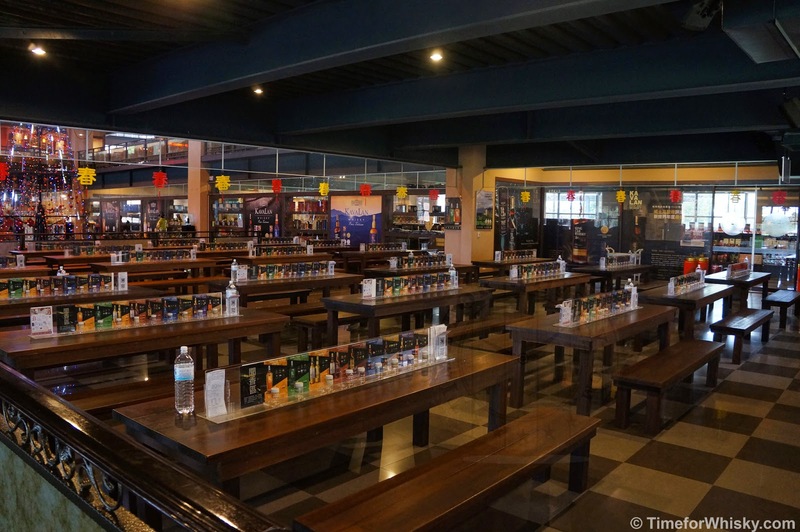 There are nosing bottles on each table to allow tasters to nose each Kavalan expression (including the award winning Kavalan Solist Vinho Barrique Single Cask Strength), but they aren't for tasting. 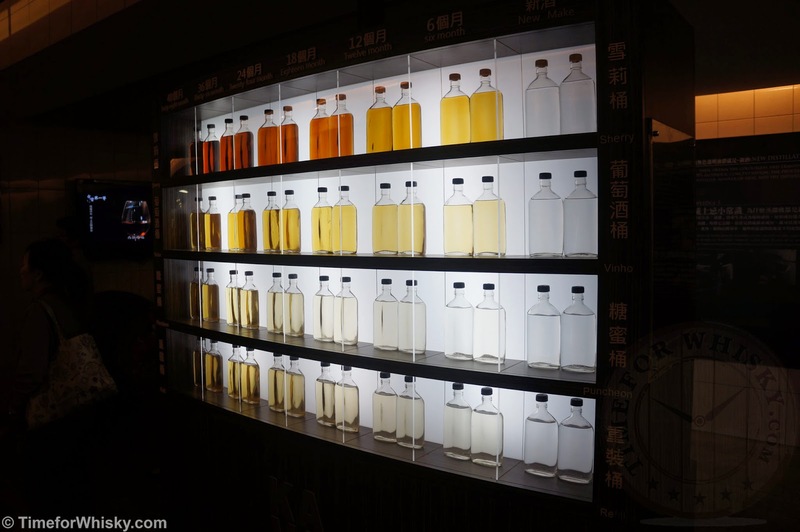 What the distillery shop offers, however, is 50mL sample bottles of every expression, along with a limited distillery-only peated 7yo expression (housed in a stunning presentation box, and available for a very reasonable ~$350HKD / $57AUD). If there are two things I really like to see in a distillery shop, it's a distillery-only expression that doesn't cost the earth, and a large range of samples. Tick, tick. Well done, Kavalan. Was the tour worth doing? Yes, absolutely. 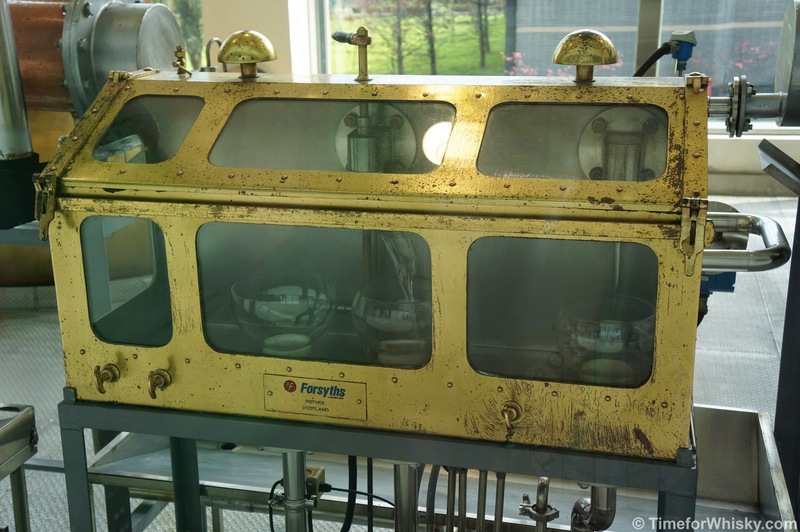 While it might not be the most interactive of distillery tours you'll go on, you'll get to see whisky distillation / aging on a simply massive scale, in a country that just a few short years ago no-one would have thought could produce a decent whisky, let alone a world-beater. 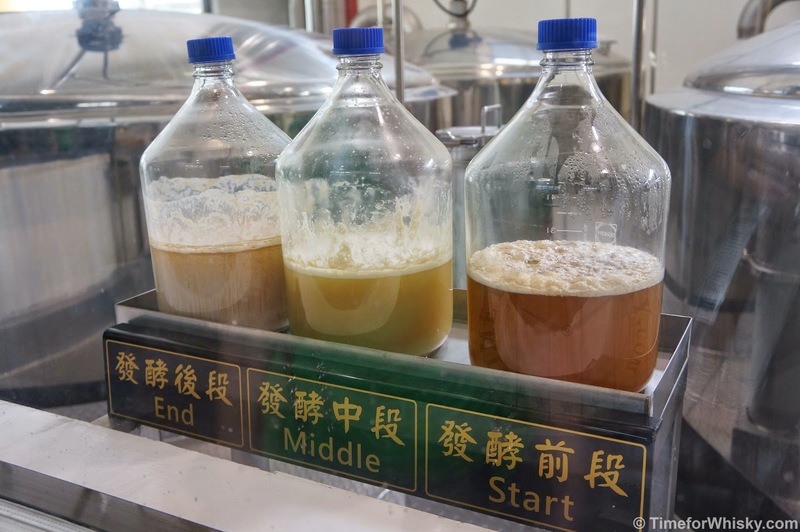 As mentioned, the distillery is a decent drive from Taipei (it took us about 1h 20m in a taxi), and if you're not driving yourself, your options are pretty limited. Our hotel (the excellent W Taipei) arranged a taxi for us, who waited at the distillery and drove us back. If you're not driving, I'd suggest doing something similar. If you are driving though, there's plenty of parking (of course it goes without saying - don't drink and drive, but this isn't like some Scottish distilleries where you'll be tasting 4-5 whiskies at the end). Book ahead, and if you don't speak Mandarin, see if you can arrange an English tour. 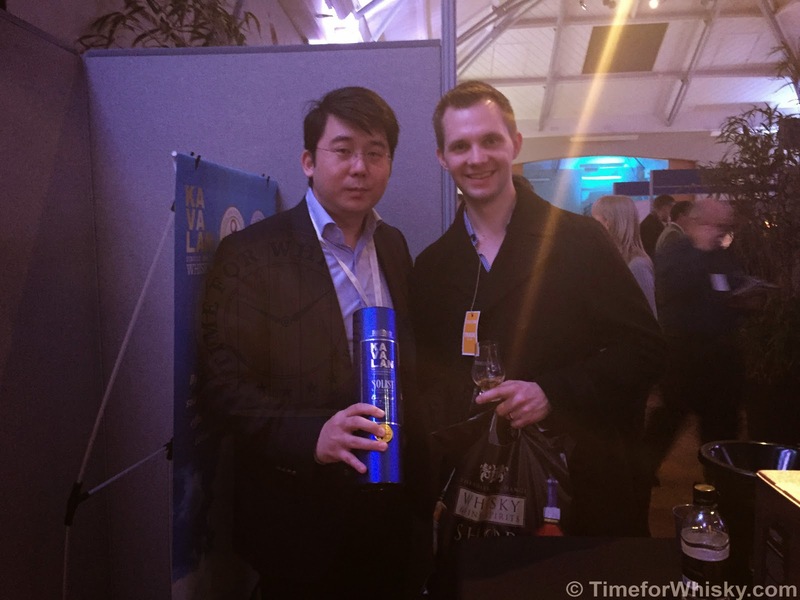 "Best Single Malt 2015" win, in London. Considering this whisky is the first in my #101drams list, and I actually purchased this bottle around two years ago (and took these notes about 9 months ago), it's taken me way too long to get this post up (2 years and 2 months after tasting the Age of Discovery Bourbon Cask, in fact). Nose: Instantly recognisable as a 'fiddich. Pears (stewed this time), but slightly dusty and more earthy than other 'fiddichs. Sweet too - would have guessed there'd be some bourbon-matured stock in it if I'd nosed it blind. Finish: Dry! Relatively short. Tannic but smooth to the end. Rating (on my very non-scientific scale): 93/100. I really enjoyed this. 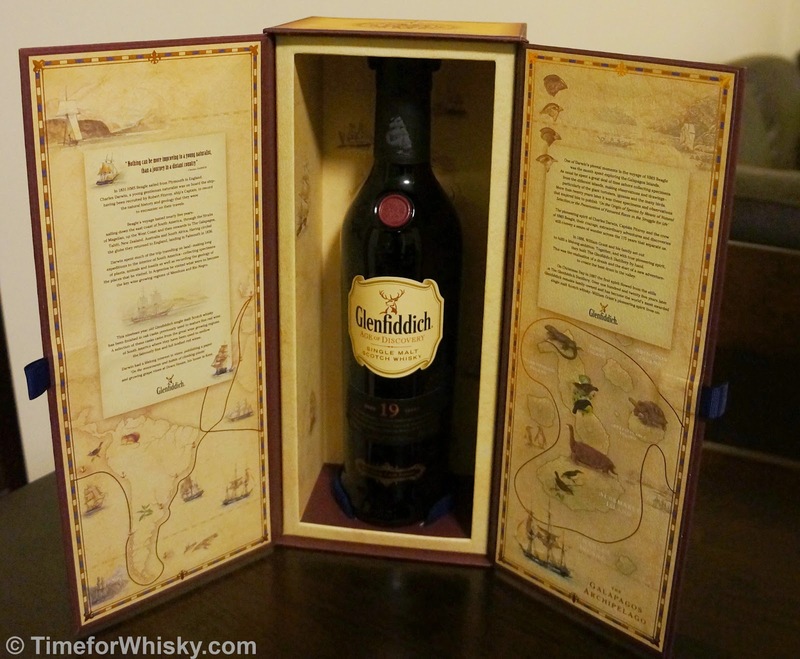 It starts off like a regular Glenfiddich, then takes a massive detour, while remaining just as enjoyable. 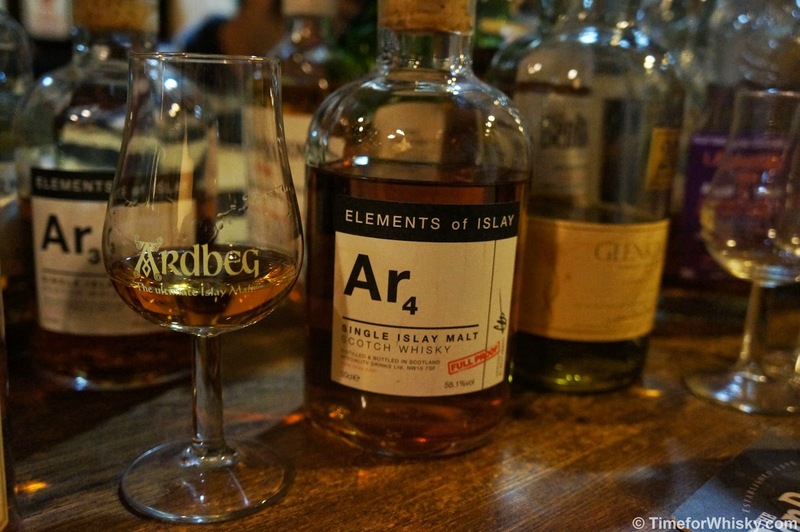 First tasting notes from our visit to Campbelltoun Loch are thanks to the Elements of Islay series - specifically Ardbeg Release #4. Nose: Subtle peat smoke and some raspberry notes. Fruity sweetness, but not overpowering. Palate: Still subtle smoke. Campfire smoke mostly - mossy, earthy, grassy smoke. Some sweet shortbread notes towards the end. Finish: Long, smooth and campfire-smoky. Rating (on my very non-scientific scale): 89/100. 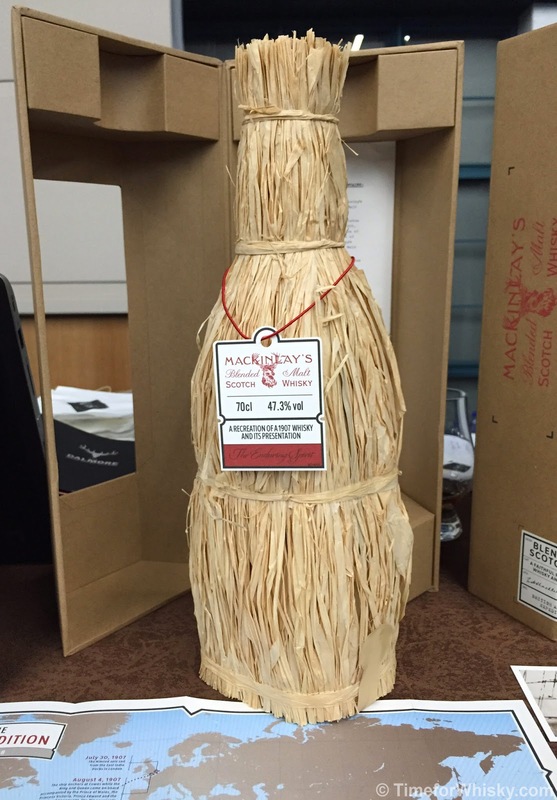 A nice dram but there are no real standout characteristics. 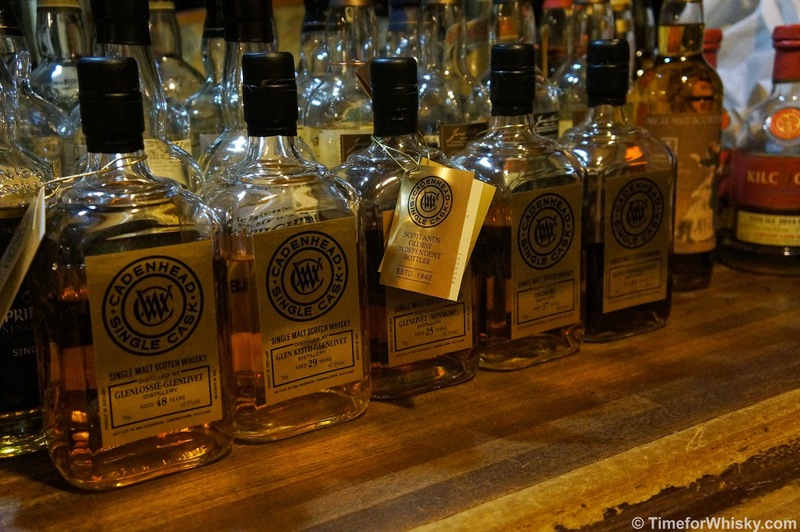 The third, final, and most expensive release in Johnnie Walker's at-times controversial "Explorers' Club Collection" - "The Royal Route"* released after "Spice Road" and "The Gold Route", was unleashed on travel retail markets around the world in October 2013. Nose: Butterscotch and caramel. Some pineapple. Palate: Grainy at first, with more pineapple (pineapple cakes more than fresh pineapple). Sweet toffee and caramel. Finish: Short, sweet and smooth. Rating (on my very non-scientific scale): 88/100. 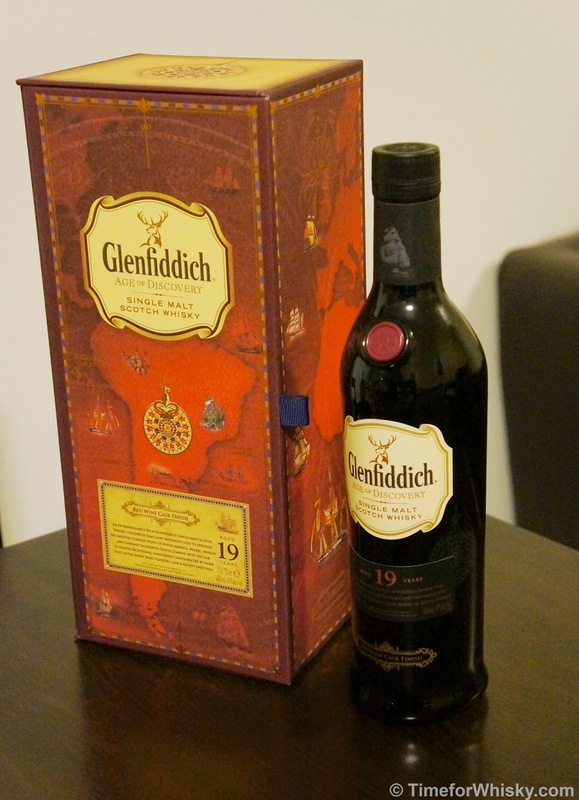 A fine and fitting end to the collection, though unlikely to challenge a die-hard Single Malt fan. * Could have sworn I saw this called the "Royal Silk Route" prior to its release, so perhaps it had a name before being released. Either way, it's officially called "The Royal Route". Way back over 100 tastes ago, we discussed Teeling's Small Batch Irish Whiskey, and really enjoyed the value for money it provided, as well as its points of difference (46% ABV, non chill-filtered, Rum cask-aged, Irish) in a market increasingly filled with 40% ABV chill-filtered Scotch whiskies. Fast forward to 2015 and the chaps at Teeling Whiskey Company (who are rapidly increasing their presence in Australia) kindly sent me a sample of the newly Australian-released Teeling Whiskey Single Grain Irish Whiskey (as well as a spiffy Teeling tweed cap, and another sample which I'll keep hush hush for now, but will be hitting Australian shelves later this year...). Continuing with the unique cask aging, Teeling have completely aged this whiskey in Californian Cabernet Sauvignon wine casks. Having tried many a wine cask aged whisk(e)y before, and generally enjoyed their unique nature, I was very keen to try this, especially since hearing it won the "World's Best Grain" at the World Whiskies Awards last year. 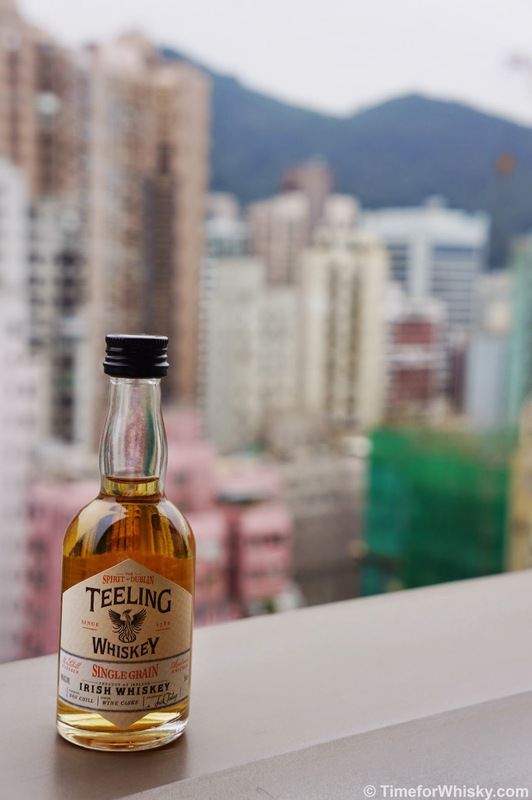 The whole Teeling range is only available at Dan Murphy's in Australia (no word on Hong Kong availability yet), and this particular bottle sells for a very reasonable $59.95. Palate: ....and it doesn't! Big and rich at first, with lots of spice and some berry notes carrying through. It quickly becomes very drying (a feature we've found with almost all red wine cask-aged whiskies we've tried), with some residual sweetness at the end. More-ish. Finish: Drying and tannic, and enjoyable, with subtle hints of spice, but far too short. 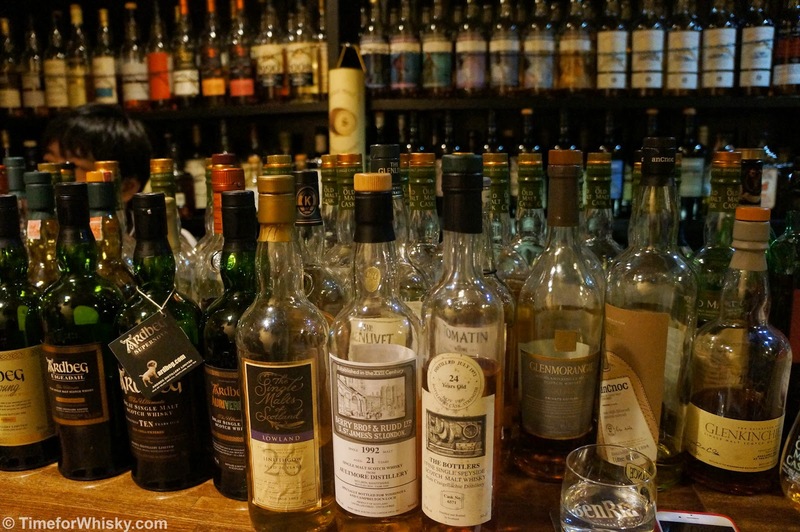 A few weeks ago we posted up the first bar review from our recent Japan trip, namely Zoetrope in Shinjuku, Tokyo, and talked about their incredible and well-priced range of Japanese whisky. 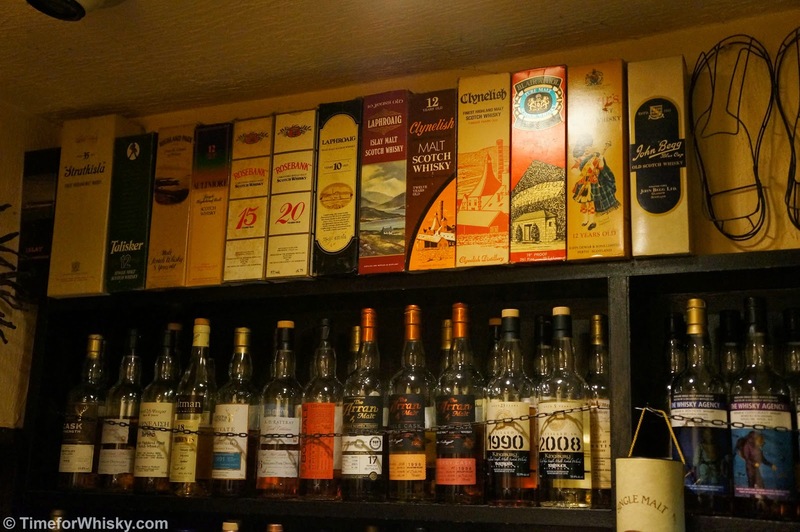 Well, what Zoetrope is to Japanese whisky, Campbelltoun Loch is to Scottish whisky. 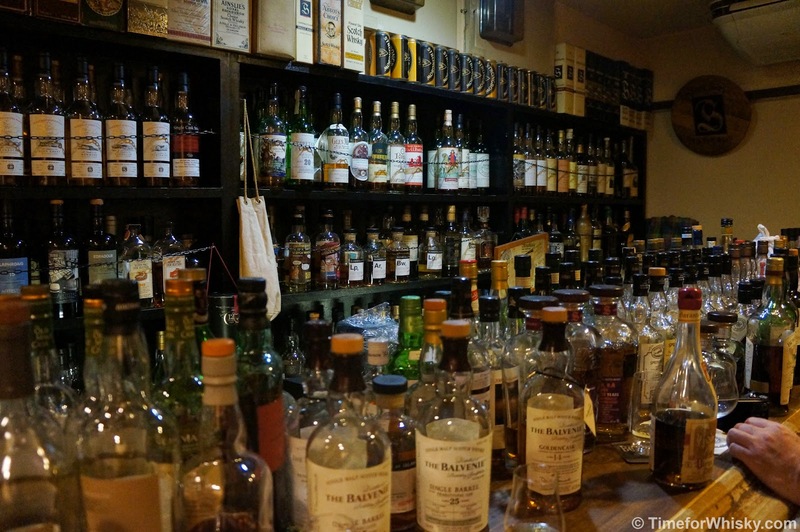 Also located in Tokyo, Campbelltoun Loch re-defined my image of a "small bar". We all know Sydney has some great "small" bars, but they're palaces, mansions even, compared to Campbelltoun Loch. 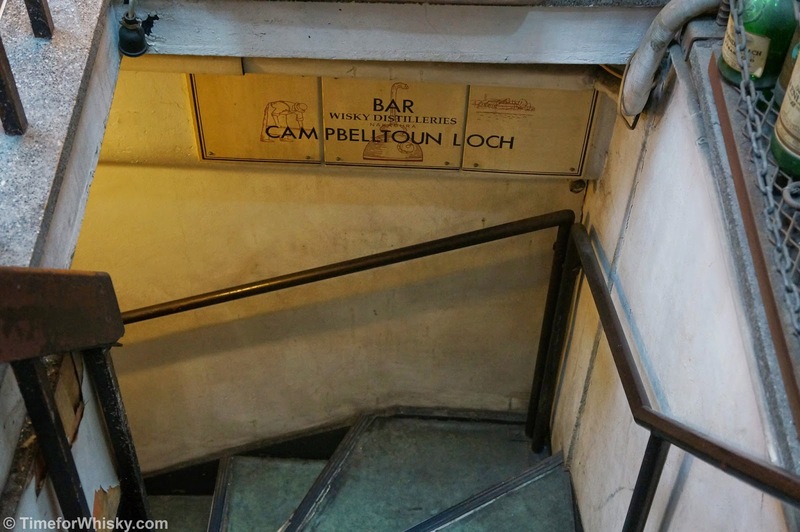 I'd almost bet there are a lot of Sydney bars with stockrooms larger Campbelltoun Loch. 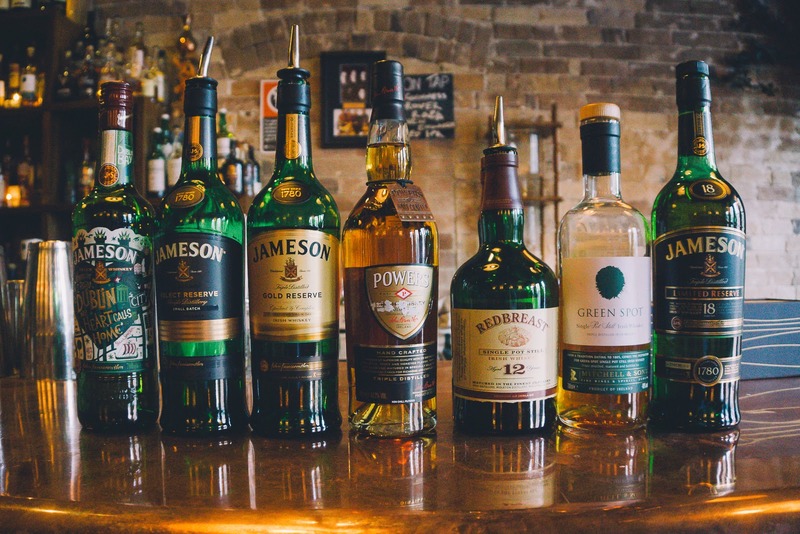 But size is hardly an indicator of a quality bar, and Campbelltoun Loch have done their best to fill every single inch of the bar with quality whisky - the overwhelming majority of it Scottish, with a good mixture of both Original and Independent bottlings. 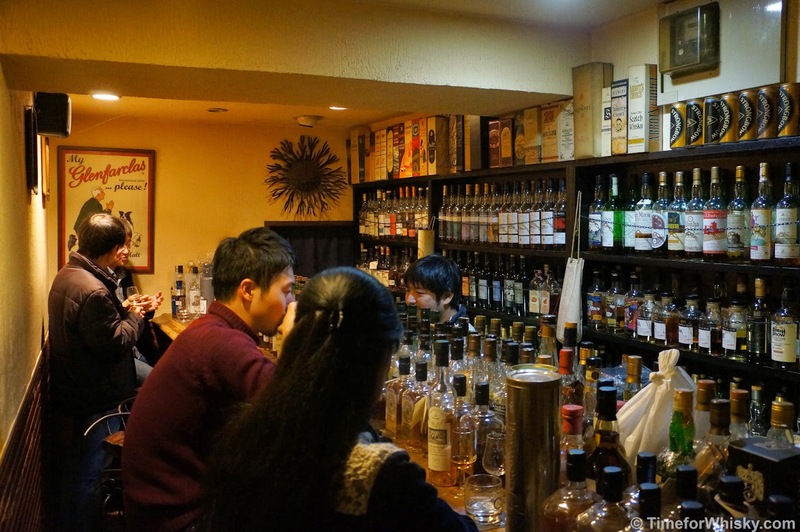 While there may only be room for 8 patrons, the staff (that'd be Nakamura Nobuyuki, the sole guy behind the bar in the photo above), clearly passionate about Scotch whisky, makes sure everyone feels welcome, regardless of which of their 300+ open bottles they choose to dram from. 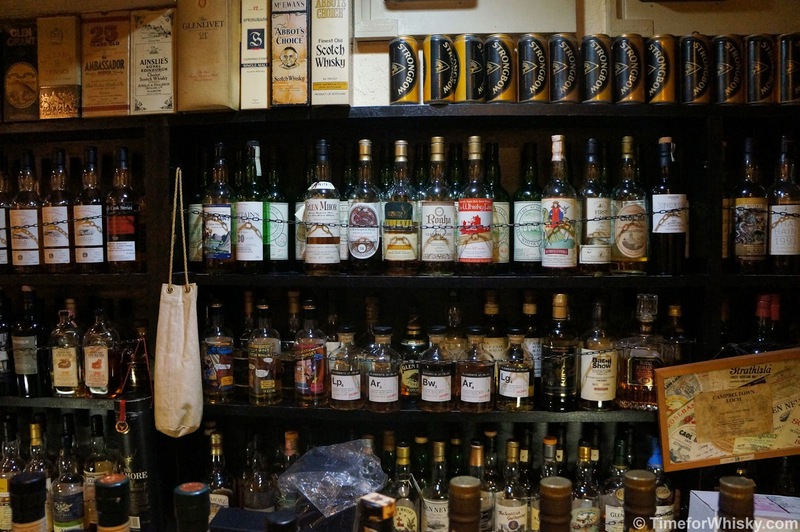 There's a reasonable amount of world whiskies, including a single Sullivans Cove (from Australia) and Teeling 21 (from Ireland), but Scotch is clearly the focus. Campbelltoun Loch can be a little tricky to find (though the address details and photo below should help), but it's absolutely worth the trouble. Whisky fans could do worse than a few drams at the Park Hotel's SMWS Society bar (review up soon), followed by a few nightcaps here. Or vice versa. It's been awhile since my last post, the Christmas / New Year holiday and work having taken over. Nevertheless, a few exciting posts coming up and also some reflection from my recent travel (more on that soon). 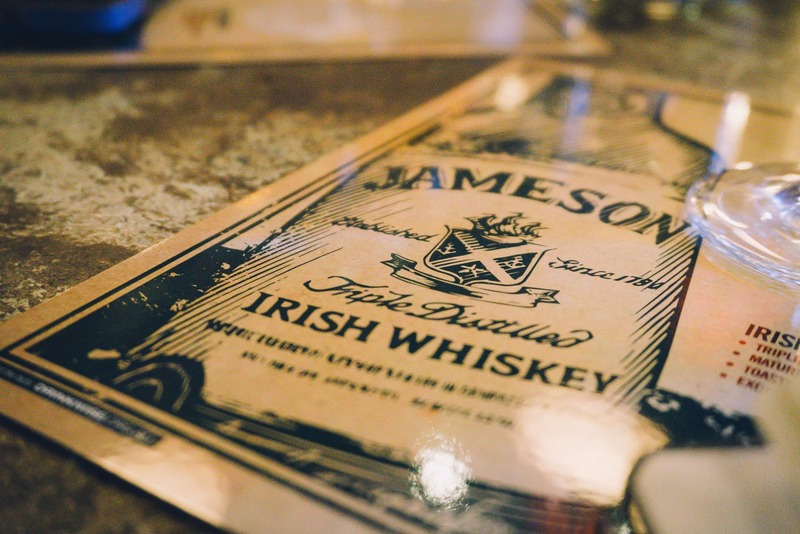 Continuing from the last Jameson tasting at CCWC (Campbell Corner Whiskey Co-Operative) at The Wild Rover in May last year and also ahead of the St Pat's day celebration, it would be fitting to re-visit the iconic Irish whiskey that is Jameson with Pernod Ricard's Jameson Brand Ambassador Lexie O'Toole at The Wild Rover. Nose: Smooth, sweet date and vanilla notes. Rating (on my very non-scientific scale): 91/100. It's smooth, creamy and sweet -- reminds me of a bourbon. Nose: Sweet date, honey, vanilla, tobacco? Finish: Longer than the Select Reserve and sweet lingering finish. Colour: Light, golden, did someone say red hue? Aged mostly in second fill Bourbon barrels, with some aged in ex-Sherry barrels. 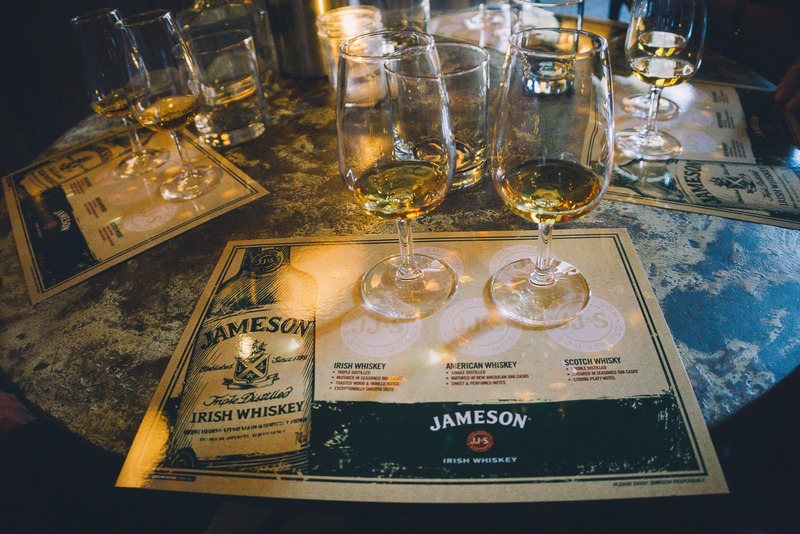 Well, what can I say, my first Jameson masterclass and it was rather enjoyable. The tasting notes tend to be quite consistent between expressions though I did love the Select reserve slightly more than the other expressions. I wasn't sure if all the hints of iodine were from the naturally salty oloroso sherry, the sherry style casks used to mature many of the expressions. Whatever you do, wherever you are, Happy St. Paddy's Day! !